ARB Bearings’ inception can be traced back to 1990. Situated at Delhi, it is being run under the guidance of professionals who hold over 60 years of experience in the bearing industries. ARB Bearings started off as a private conglomerate, and later rose to the level of a public limited company. The Group’s businesses are present in five continents, spread across more than 40+ countries with 250+ dealers network. The bearings are made in more than 4 plants and come in a variety of sizes which goes up to more than 1500. Over the years, the company has witnessed tremendous growth and development. Its annual growth rate of 40% speaks volumes about how far ARB has come from where they had begun. A significant contributing factor in the growth rate of ARB Bearings has been its strong connections and consistent interaction with prominent dealers, distributors and OEMs from all over India. ARB Bearings have a history of utilizing innovation and technology to the maximum. It is for this reason that it has always been adopting the latest technology and setting up plants to expand its portfolio. It began with the production of Taper Roller Bearings in 1990. In 1997, it broadened its product range by starting Spherical and Cylindrical Roller Bearings. In just one year, ARB commenced production at a separate plant in Unit- II at Badli by introducing Ball Bearings into the product line. Year 1999 marked the initiation of UCP (Pillow Block) bearings along with the production of Double Row Angular Contact Ball Bearings. ARB started the production of Self Aligning Ball Bearings in 2000. In 2007, a new plant was established in Himachal Pradesh. 2009 is the year when it launched the multi-purpose grease for automotive and industrial applications. The same year, it set up another plant at Kundli, in Sonepat for manufacturing purpose. The next year, Universal Joint Cross was initiated for automotive and agricultural applications. Year 2011 holds a great significance, as ARB set its 4th plant in Kundli only for Taper Roller Bearings. Inception of automated Continuous Furnace for Heat Treatment happened in 2013. ARB introduced Clutch Plates under a new brand, Pro Clutch in 2014. In 2015, it installed automatic transfer line for Tapper Roller Bearing. ARB is well known for variety which it offers through its range of distinct portfolio. Automobiles, industrial machinery and household appliances are a part of its diverse and noteworthy portfolio. It also boasts of clients that are eminent names in the industry. ARB Bearings began its export in the year 1996 by exporting bearings to the Middle East. It started exporting to USA and Sri Lanka in 1998. By 2004, ARB’s exports skyrocketed due to the doubling of their production capacity of all types of bearings from 6 million to 12 million. It exports to 5 continents, namely North America, South America, Europe, Asia and Africa. In North America, it exports to Canada and USA. In South America, the countries it exports to include Brazil, Chile, Uruguay, Argentina, and Paraguay. The European countries receiving imports from ARB are Austria, Belarus, Bulgaria, Germany, Hungary, Italy, Lithuania, Poland, Ukraine and Serbia. Algeria, Libya, South Africa and Nigeria are the African nations importing from ARB. The Asian countries include Bangladesh, Korea, Malaysia, Myanmar, Nepal, Pakistan, Russia, Sri Lanka, Thailand and Vietnam. ARB also has export relations with the Middle Eastern countries like Egypt, Iran, Oman, Saudi Arabia, U.A.E and Turkey. Another striking feature of ARB Bearings that sets it apart from the rest is its superior quality bearings available at affordable prices. This ensures that customers get the value for their money and hence do not get over charged or/and cheated. Customer satisfaction has been our top-most priority since the beginning. Our endeavor has been to cater to the needs and wants of all our customers. To fulfill that, we create customized bearings for customers. Quality has been and will always be a constant at ARB. Therefore, all the ARB products are manufactured in line with the international standards. They are subjected to a series of quality tests and checks. These measures ensure that the products follow the standard quality benchmarks and remain consistent in their performance. Latest technology and high-grade infrastructure is used in hi-tech plants for undertaking this job. The R & D team at our company is highly competent and capable. It works relentlessly at each and every level of production. 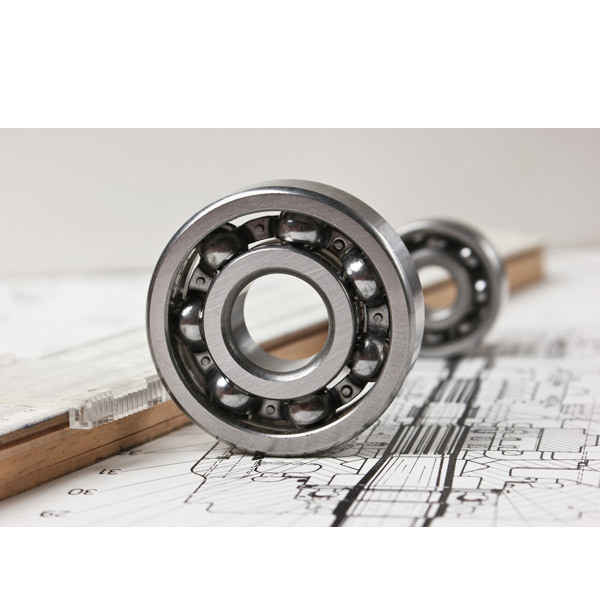 Be it procuring the right kind materials for the bearings, or working on the designs or even taking care of the final production; our team looks after all the stages with equal dedication and expertise.